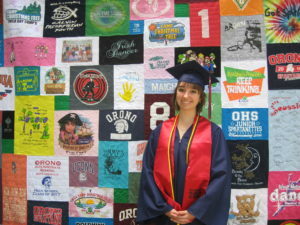 If you need your quilt completed by a certain date, especially the months of MARCH, APRIL, MAY and JUNE, please send us an email to make sure we are able to have your quilt completed by your due date! Please make sure you have reviewed the T-Shirt Preparation Page before mailing your shirts. When you are ready to place your order, the final step is to complete an order form. You have two options for submitting your order form: you can fill out the online order form below and submit, or print out this downloadable order form and include with your quilt order. 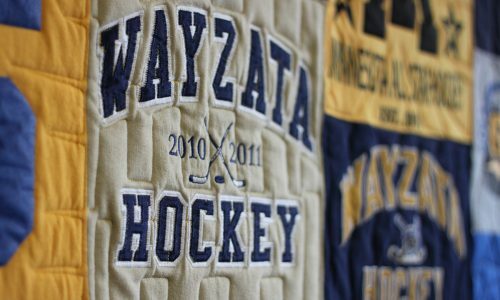 Please make sure to contact us if you have any questions; mntshirtquilts@gmail.com or call 763-607-6458. This allows me to text you pictures! I have almost every color in the rainbow, just ask! This will be the fabric on the back of your quilt. This is the fabric that is around the edge of the quilt. I’m not sure. Please recommend a color. 3. Optional... Do you want a border? A border will add to the cost of your quilt. 4. Do you have a deadline? Please note... I need a minimum of 4-6 weeks to complete your quilt. I do NOT have a deadline. Balance due upon completion of quilt. I will text a picture of your finished quilt. When final payment is received, I’ll send you your quilt!